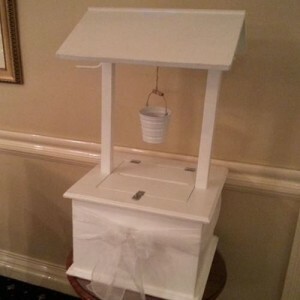 The Wishing well and Wishing well suitcases is a perfect place for your guests to leave your cards at your reception. The wishing suitcase come as you see it. 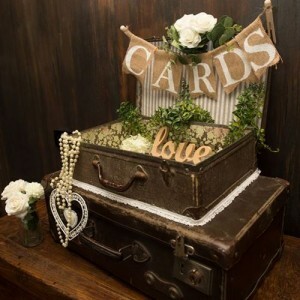 There is a posting hole at the bottom of the small suitcase for your guests to post your cards through. Your cards fall through and are stored in the bottom suitcase The small suitcase is permanently stuck onto the larger case. $50 to hire. 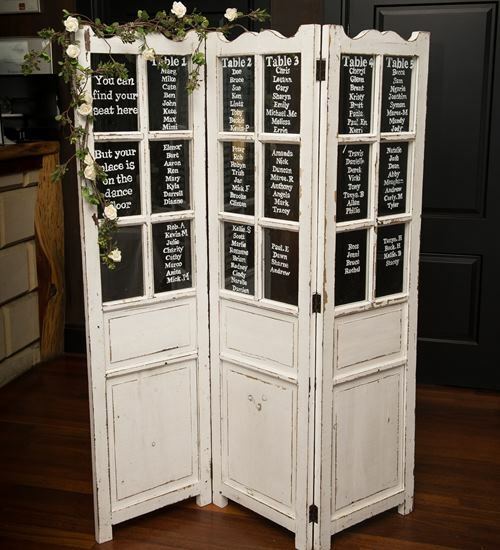 Free Standing window seating plan for hire. 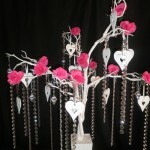 The window is $90 to hire including the flowers and vines. 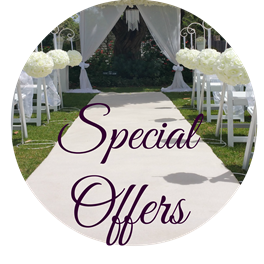 You can hire it with out any wording or you can supply us a list of your guests in a word document and we can so it for you at $1.50 per guest name. A great Guest book replacement. 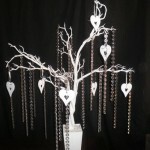 Instead of a guest book why not have a wedding wish tree. 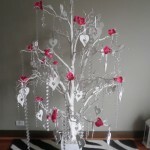 The wishing tree replaces a traditional guest book. 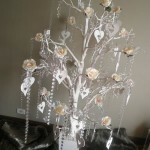 Simply get your guests to write their thoughts, advice and wishes for the newly weds on cards and tie the wishes to the branches. You can take the cards home and put them in a scrap book. 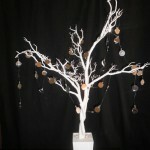 A great replacement for your wishing well If you are requesting a monetary gift, you can adapt the wishing tree idea to suit. 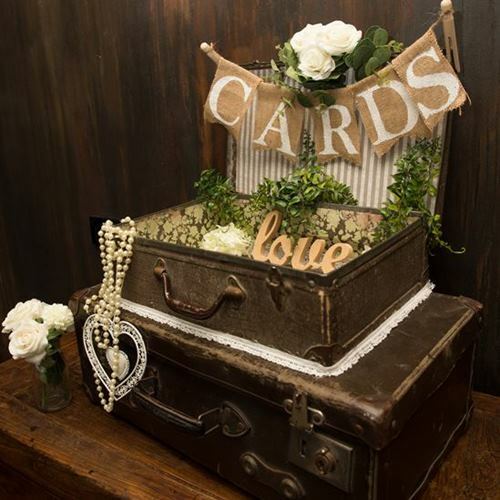 Simply provide your guests with cards and envelopes. 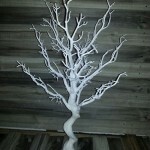 Their wishes can be tied to the branches.